An image of Edna Breen's house in Ferryland, N.L., will travel the world on an international stamp. 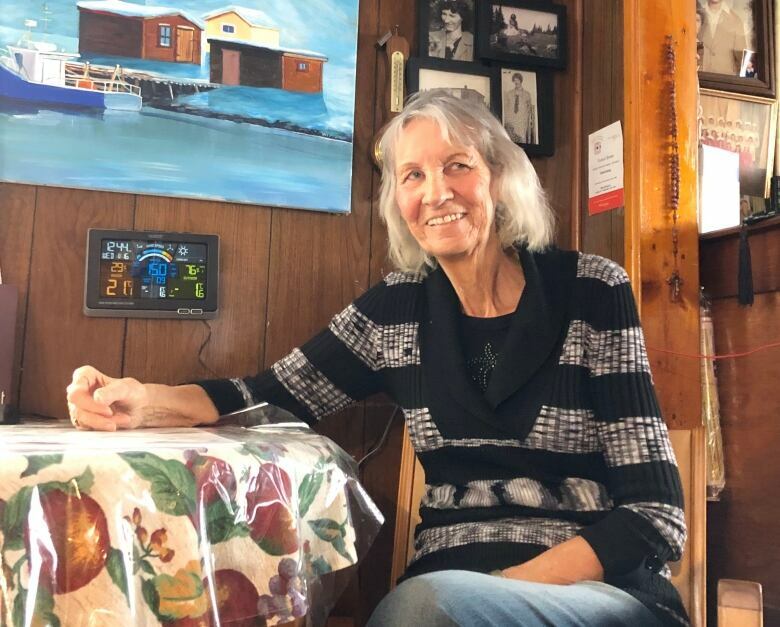 Edna Breen has seen a lot of icebergs come and go in the more than 50 years she has lived in the beige two-story house in an area of Ferryland, N.L., local people call "the pool." But none has been as spectacular as the enormous berg that showed up right behind her home in April 2017. "Imagine living near something like that. 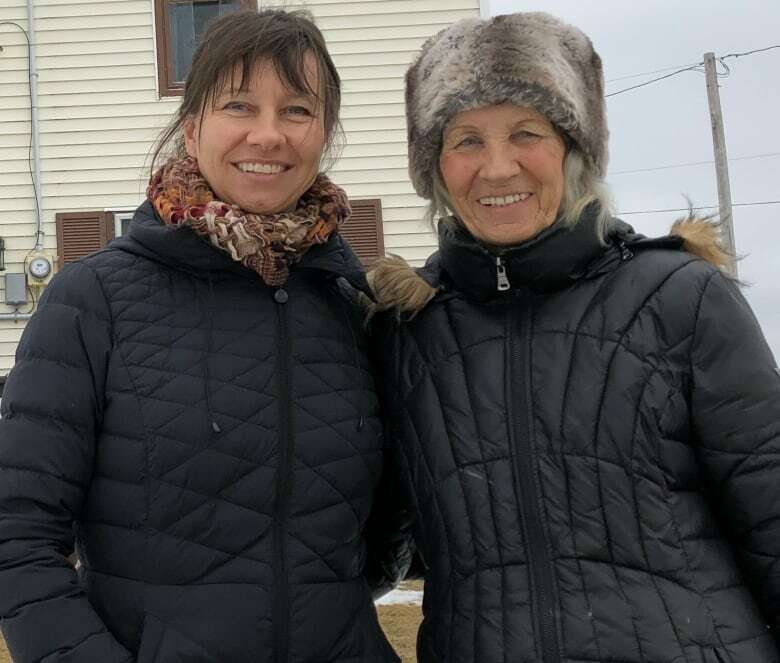 It was so massive," said the 84-year-old, who moved into the house with her husband and two children to keep her widowed uncle company in the 1960s. The iceberg drew curious sightseers to Ferryland when it showed up over the Easter holidays two years ago. "And they're still coming now, actually, just to see the area where it was," said Edna's daughter, Tanya Breen, who saw a photo before seeing the berg in person, and thought the image must have been doctored. "Because there's just no way there's an iceberg that big. And so when I drove into Ferryland and I saw it … it was amazing," said Tanya. "And there were so many people around looking at it from back on the main road it looked like they were ants. It was just so many people everywhere." 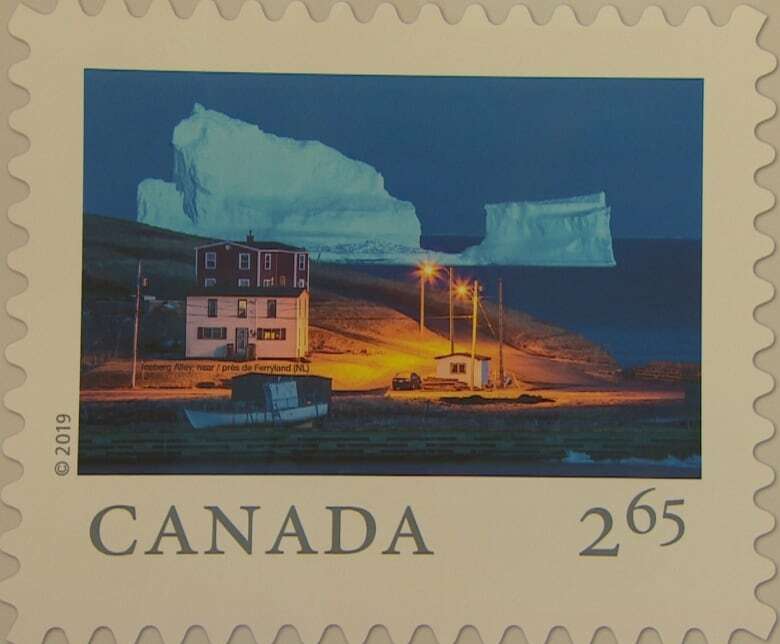 A nighttime shot of the house with the iceberg looming in the background is now featured on an international stamp as part of Canada Post's Far and Wide series. It was taken by photographer Michael Winsor, who had to keep it a secret for a year — and he did a good job. Edna said she found out about the stamp only on Tuesday, when she saw a picture of it online. "I said, 'Wow, oh my God, we're on the map now. We're on the map,'" she told CBC Radio's St. John's Morning Show. "Everybody in Canada's gonna have a little piece of our area … a little mini-print," added Tanya. Both expect the international stamp may draw even more tourists to their backyard, and that's fine with them. "I like the tourists, really, you know," said Edna. 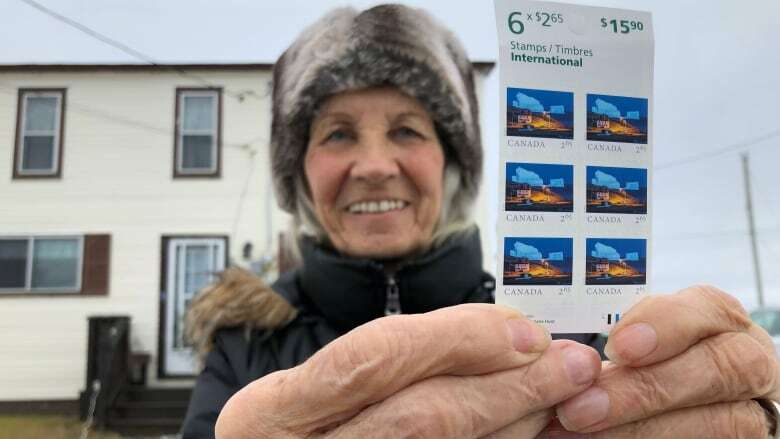 Not only is her home now featured on a stamp that will be sent all over the world, living next to the huge iceberg had other perks as well. "I got a piece of it for my drinks," she said. Edna last had a drink cooled with a now-iconic piece of iceberg ice over Christmas. "You got to keep it for special occasions."